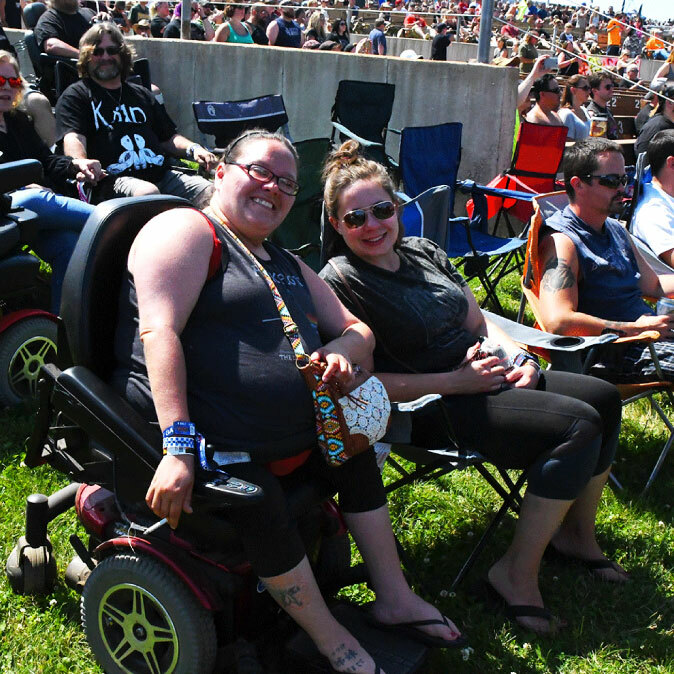 Rock Fest is a fully-accessible event and we are continually improving to ensure you have access to all of the festival’s amenities. The following explains services provided for this year’s event. Please email us with any accessibility-related questions you may have; we will do our best to accommodate you as best as we can. ADA General Admission Tickets: To purchase an ADA GA ticket, simply purchase a regular General Admission ticket. Once you arrive, enter the Concert Grounds through Gate 12; you will be directed here upon your arrival. Please have your blue handicap card with you as you get to Gate 12 and we will show you where the ADA GA viewing area is located. You are allowed one person to accompany you in the area per handicap card. Any additional persons will be directed to the regular general admission viewing area. ADA VIP: Located in Section R1, Rows 7 & 8. To purchase an ADA VIP ticket, please call our office at 800.326.3378. You are allowed one person to accompany you per handicap card in the ADA VIP section. Any additional persons who would like to be in the VIP area must purchase a regular VIP ticket in whichever section is available. ADA VIP GOLD: Located in Section D, Rows 1 & 2. To purchase an ADA VIP ticket, please call our office at 800.326.3378. You are allowed one person to accompany you per handicap card in the ADA VIP Gold section. Any additional persons who would like to be in the VIP area must purchase a regular VIP ticket in whichever section is available. 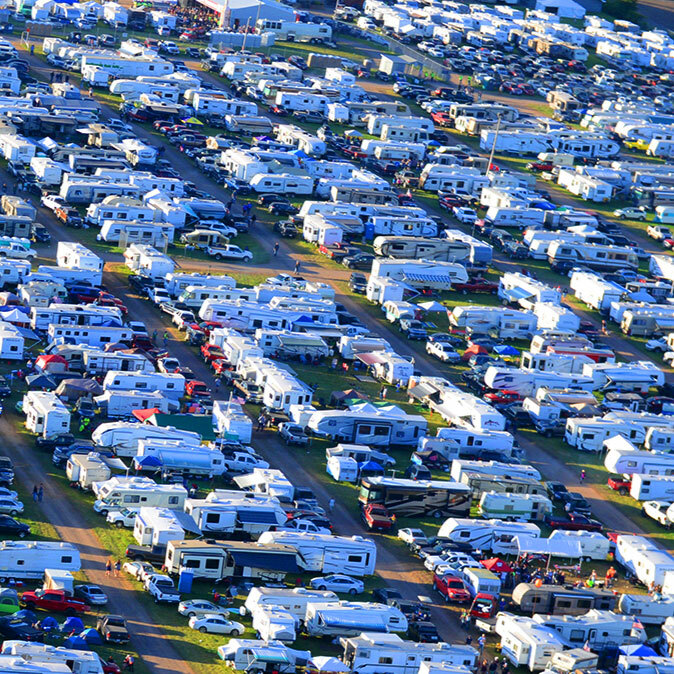 ADA Camping: Located in Row C, sites 1-30; Row D, sites 11-30; and Row E, sites 1-30. 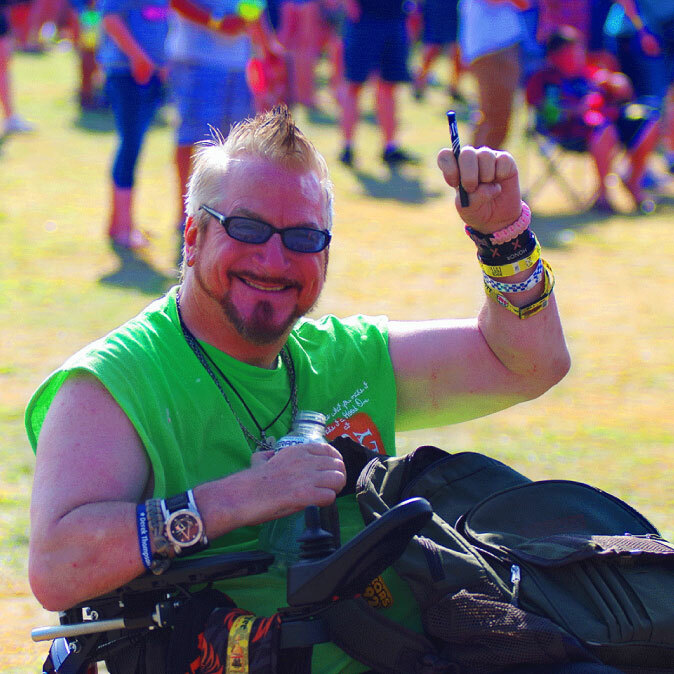 To purchase an ADA Campsite, please call 800.326.3378 and have your handicap number(s) ready, as you will need one number per campsite. 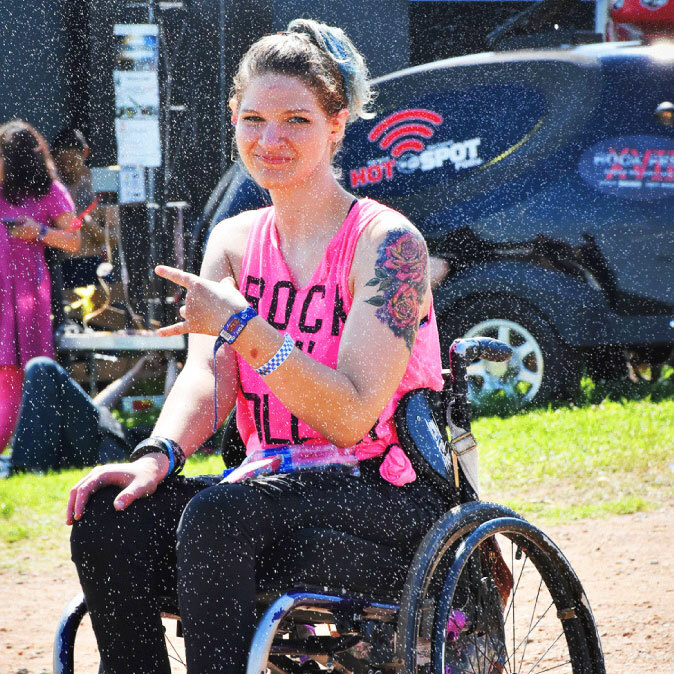 Any additional campsites needed that don’t have a handicap number can be purchased in any other camping location. Sites fill up quickly, so please call at your earliest convenience. ADA Parking: Located in the South Campgrounds, Row D, sites 1-10. To purchase ADA Parking, simply purchase a general parking pass (either 3- or 1-Day Parking) and have your handicap plaquard with you when you get to the gates. Gate attendants will assist you with where to park. Only one car per handicap number. 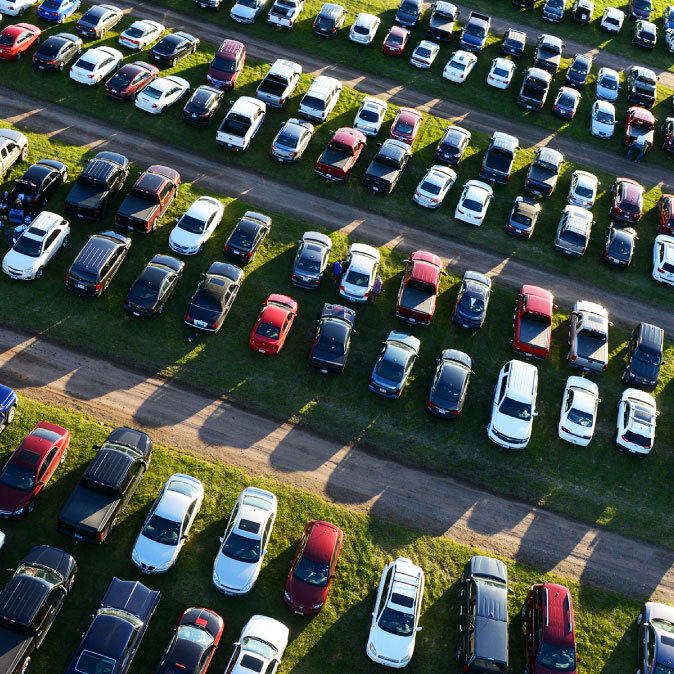 Any additional cars will need to be parked in the general parking lot, located next to the Main Gates. Service Animals are allowed in both of the Campgrounds as well as the Concert Grounds and must remain at the handler’s side. 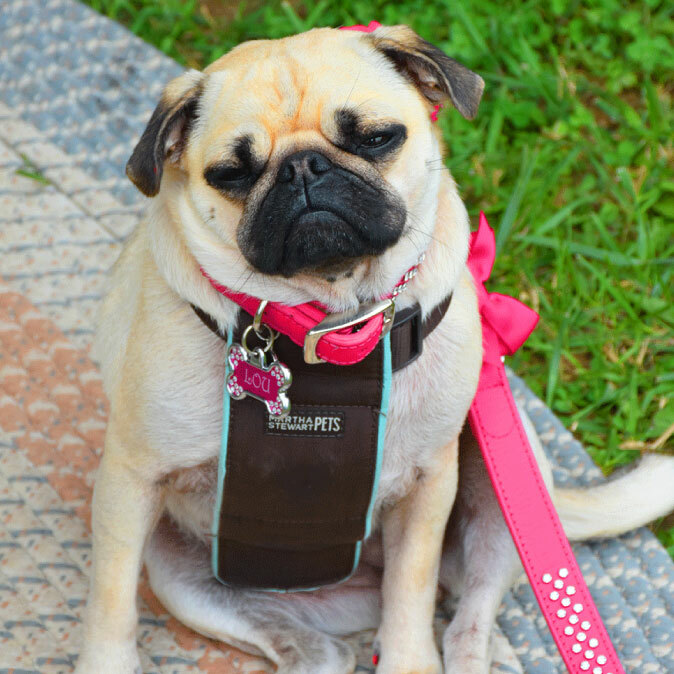 Service Animals are to be harnessed, leashed or tethered, unless these devices interfere with the service animal’s work. Service animals must be housebroken and picked up after. Anyone bringing a service animal will be responsible for and liable for any damage or injury caused by the animal.